PALMDALE – The city of Palmdale is accepting applications for the position of Housing Authority Tenant Member Commissioner to fill a term that expires Sept. 30, 2019. 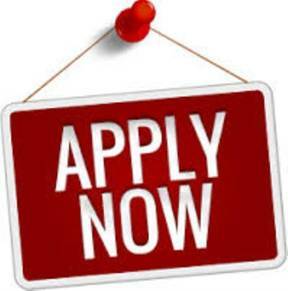 The deadline to return applications is Monday, Sept. 17, 2018, by 6 p.m. in the City Clerk’s office, located at 38300 Sierra Highway, Suite C.
Qualified candidates must be a tenant in one of the following Housing Authority properties: Boulders at the Ranch 1; Boulders at the Ranch 2; Boulders at the Lake; La Quinta Apartments; Summerwood; Park Vista; and The Impressions. Applicants must be a resident in good standing. Housing Authority Tenant Member Commissioners receive no compensation or reimbursement. The Housing Authority meetings are called as needed and are generally held in the City Council Chamber, located at 38300 Sierra Highway, Suite B, on the first Tuesday of the month at 7 p.m. On occasion, additional meetings are held to discuss agenda items. A description of the duties and responsibilities and the application are available at www.CityofPalmdale.org or in the City Clerk’s department. As part of the final selection process, applicants will be required to pass a Livescan fingerprint scan submission via the California Department of Justice. Applicants are encouraged to attach a resume. For more information, contact the City Clerk at 661-267-5151.